1) Cat Pose: The flowing motion of breath and spine helps release tension from the neck and upper back while also pouring refreshing energy through the body and mind. 2) Seated Twists like Half Twist: Besides increasing circulation throughout the entire length of the spine, the twisting motion in the upper spine (cervical region) often alleviates tension coming from the scalene muscles of the neck (anterior aspect). 3) Chest Openers like Yoga Mudra Arms: Much of the tension in the back body is a result of muscle dominance from the front body (called Upper Cross Syndrome). Expanding the chest and front shoulder muscles helps break down muscular imbalances and frees the tension coming from the neck. 4) Eagle Arms: This simple crossed arm pose can be done in Mountain Pose or any natural seated posture. This back expander can reach well into the mid and upper back targeting problematic muscles around the shoulder blades and the base of the neck. Take time in this arm pose to breath slow and full into the upper back and insure that you perform this arm pose on both sides. 5) Simple Neck Stretches: Gently move through the various muscle fiber lines by allowing your head to float down to one shoulder with gravity, down across the chest and into the other side – repeat with a natural, unforced motion. Avoid letting the head fall back-keep the motion in a half circle from one shoulder to the other. Pause where you find extra areas of resistance. 6) Child’s Pose: A perfect restorative yoga pose that slightly inverts the body. A gentle flow of extra blood circulates into the head helping relieve tension. With the legs slightly separated, you can easily settle into deep core and back breathing to encourage a flood of circulation to reach deep into the body. Note that the head and neck should be absolutely comfortable. If needed, keep you arms forward or bend the elbows and rest the forearms by your chest/under your shoulders so the palms face up-this will greatly unload any pressure from the neck. 7) Two Knee Reclining Twist: Unlike our seated twists, this reclining twist can be far more restorative and held longer to bring deeper focus into relaxing the nervous system while the chest expands and rejuvenates the spine. Give extra attention to releasing the shoulders into the mat to again release dominance of the shoulder and chest muscles. 8 ) Legs Up The Wall Pose: This highly beneficial inverted pose is great for developing hamstring flexibility and for improving circulation in the lower limbs. For headaches, the extra flow of blood to the brain and the restorative support can be deeply relaxing and nourishing. 9) Anuloma Viloma (Alternate Nostril Breathing): The aim of alternate nostril breathing is to restore balance to the energy systems. With balance, we find release and calm. This yoga breathing exercise is easy to do for all levels and targets the nervous system by slowing brain waves, calming the mind and purging stress. 10) Relaxation Pose: After doing a series of restorative yoga poses, take some time to simply relax and release in Savasana. Turn the focus away from the symptoms of your headache and settle into the sensation of mental and physical release. You may find a light eye pillow helpful in moving tension/pressure out of the eyes and forehead. Increase your comfort by placing a bolster under the knees and a thin pillow under the head. To complement the chest openers and reclining twists, lay with the arms open to the sides/palms facing the ceiling. Take advantage of restorative yoga exercises to treat your headache. Before jumping for a chemical medication that usually just masks the symptoms, see how these key yoga poses can first work to naturally eliminate the cause of the headache and free you from the discomfort arising from imbalances and stress. 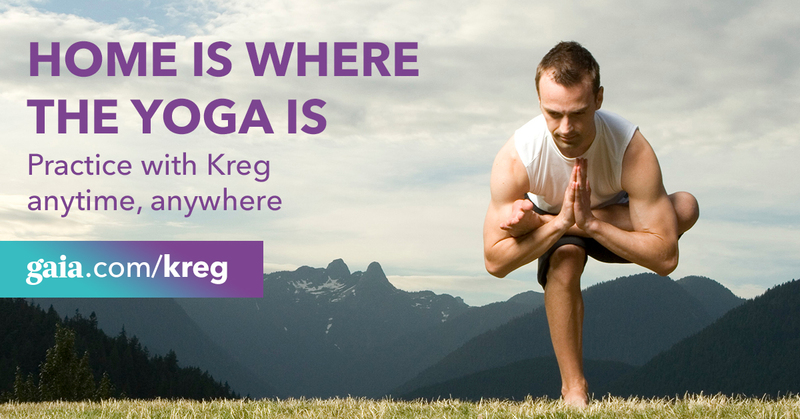 Exactly how long did it require u to compose “Top Yoga Poses for Relieving Headaches | Kreg Weiss Yoga”? It took me an hour or so to put this article together based on experience and knowledge of practice. I’m arun from Erode, India, have had migraine for past 4 months, had CT Scan everything normal and also seen 2 neurologist and 1 ENT and 2 Opthamologist all says noraml then My friends asked me to do the Anulom-Vilom. I started Anulom-Vilom sometimes it is pleasant. But sometimes anulom-vilom triggers headache more, headache continues whole day. so i stopped anulom-vilom last ten days. Now feels little better but still have headachhe. Before doing anulom -vilom i did Salabasana and Bhujangasaan. I stopped everything., these poses also triggering headache. Still have persistent headache. What should i do ? i dont believe in allopathy medications. Please suggest to get rid of migraine.